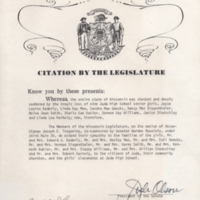 Citation by the full legislature, expressing sympathy for the families of the victims and the community as a whole. 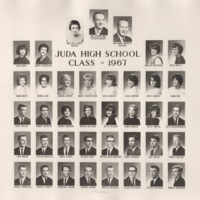 Composite photo of Juda High School's 1967 senior class. 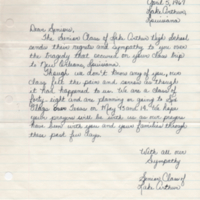 Letter of sympathy from the senior class of Lake Arthur High School of Lake Arthur, Louisiana. 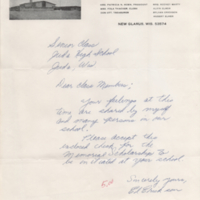 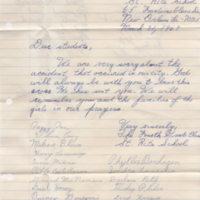 Letter of sympathy from the 4th grade class of St. Rita School of New Orleans, Louisiana. 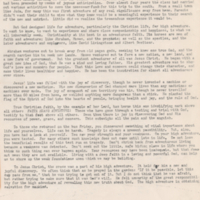 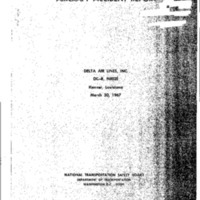 Address delivered by Melvin H. Nickel, pastor of the Juda Zion and Union EUB Churches at the memorial service for the Juda crash victims held on April 2, 1967. 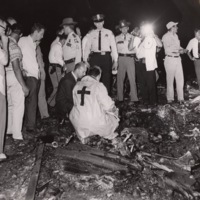 A member of the clergy is shown kneeling at the crash site among first responders, press, and others. 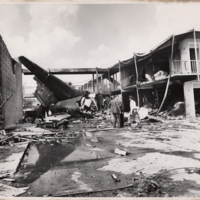 Area of the hotel where the crash occurred. 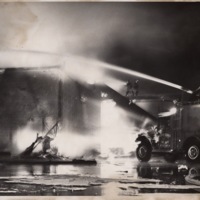 Firefighters work to put out the fire after the crash.